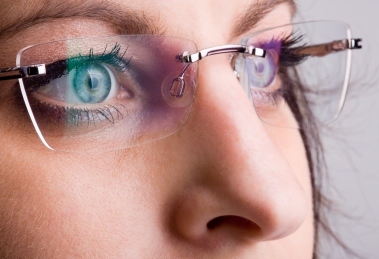 The retina is a thin, light-sensitive membrane covering the rear of the eye. It’s the part of the eye where images are focused by the cornea and lens. 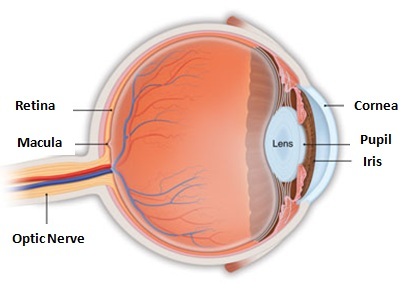 The images displayed on the retina are transmitted to the visual centers of the brain by the optic nerve. In fact, the retina is technically part of the body’s central nervous system and is considered brain tissue. 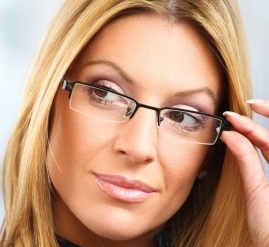 Approximately 95% of the retina is responsible for side vision or peripheral vision. The remaining 5% located in the very center of the retina is known as the macula and allows for central vision. 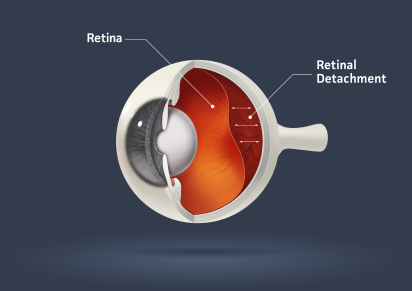 If the retina becomes damaged or separates from the back wall of the eye, it’s a condition known as retinal detachment. 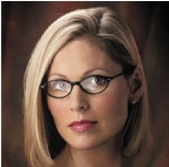 When a retinal detachment occurs, it’s a serious condition that needs attention. A retinal detachment causes the retina to separate from its blood and nutritional supply which could lead to loss of peripheral vision, central vision or both. This is the most common type of retinal detachment. The term rhegmatogenous means “arising from a rupture or a fracture”. Rhegmatogeous retinal detachment occurs when there is a hole or a tear in the retina. The break in the retina allows the gel-like substance from the vitreous cavity of the eye to seep through the opening causing the retina to detach from the eye wall. A tractional retinal detachment is a retinal detachment caused by the gel like substance within the vitreous cavity of the eye pulling on the retina which eventually causes the retina to detach from the rear eye wall. An exudative retinal detachment occurs as a result of a leak under the retina which allows the gel-like vitreous substance to enter behind the retina. These types of leaks are typically caused by inflammation. 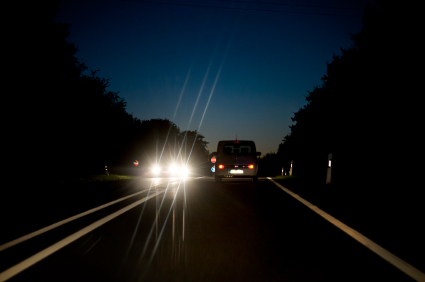 Flashing lights and eye floaters are common early symptoms associated with a retinal tear or retinal detachment. If a dark shadow or dark curtain obscures a portion of vision, this is also an indicator of retinal detachment. 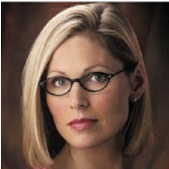 Anyone who experiences these symptoms should schedule an exam with their eye doctor immediately. 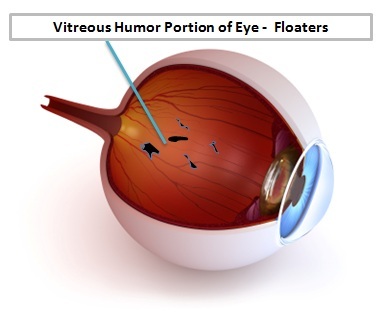 Eye floater is a term used to describe the tiny black or gray shapes that appear in your field of vision. 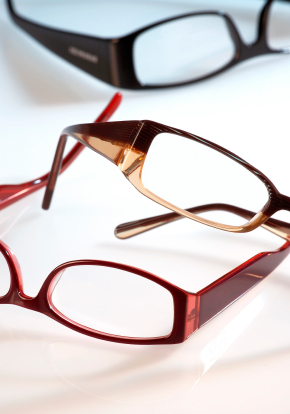 Floaters can be especially noticeable when you are looking at something bright like a clear blue sky or a whiteboard. For the most part, eye floaters are perfectly normal. 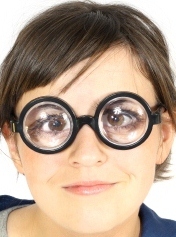 However, floaters can also be a symptom of a serious eye condition. It’s important to understand what floaters are, how they are caused and when you need to discuss the floaters you are seeing with your eye doctor. 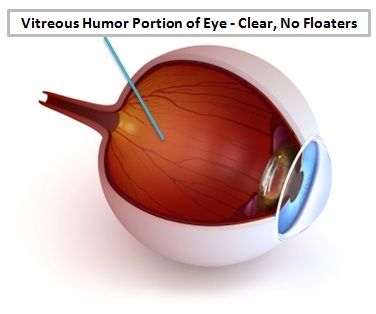 A large part of the eye is filled with a clear jelly-like substance called vitreous humor. Dispersed throughout the vitreous humor are millions of microscopic protein fibers called collagen. As we age, the consistency of the vitreous humor becomes more liquefied which allows the tiny collagen fibers to stick together creating small debris particles. These tiny particles block light entering the eye and cast a shadow on the retina causing you to see an eye floater. When you see a floater and try to focus on it, the floater will generally move away rapidly. During regularly scheduled eye exams, you should discuss any eye floaters you may be seeing with your eye care professional. It’s a topic that he or she wants to know about. If the frequency of eye floaters appears to increase suddenly or if eye floaters are accompanied by flashes of light, you should contact your eye doctor immediately.